Well, I finally got that out of my system! Ever since Barbara and I Ieft Zambia in 1973, I have nurtured a desire to return to Chingola and see how things have changed. So last week's visit was something of a pilgrimage. When we first arrived in Zambia in late 1969, independence had been gained only five years earlier, and during its colonial days the Copperbelt had witnessed much racist behaviour, and was politically the most volatile area of the country. Cinemas had been racially segregated until 1960. The legacy of its colonial past was mainly evident in the infrastructure, particularly town planning, which had provided the white ex-patriots with relatively luxurious accommodation and excellent sports and social facilities, while the indigenous mine workers were relegated to black townships, with basic amenities, on the outskirts of the town. There were even two separate hospitals, one for whites, the other for blacks. I was initially assigned to the concentrator, and we metallurgists gave little thought to the fact that all the metallurgists, engineers, chemists and geologists were white, while all the plant operators and labourers were black, from the local Bemba tribe. This was also a legacy of colonial days, but during my time on the mine, as a result of the 1969 nationalisation by Kenneth Kaunda's Government, a programme of Zambianisation evolved and slowly, starting with the non-university educated, but very experienced, General Foremen, white workers were gradually replaced by the indigenous blacks. Another change was the gradual decline in the use of Chikabanga, a form of 'pidgin English' devised by the Europeans to speak to the African workers, and outlawed by the Government after independence because of its colonial connotations. 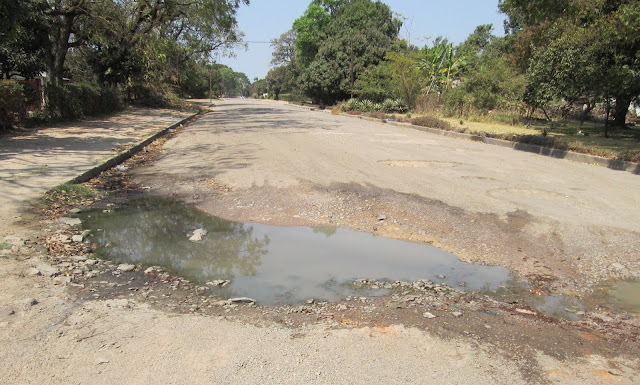 We expected to see big changes after 40 years, but were shocked to find the infrastructure in such a poor state, the road from Chingola to nearby Kitwe now in an appalling condition, the journey which once took around 30 minutes now taking up to a couple of hours. The roads in the once resplendent residential areas are now almost undrivable and our old sports clubs now severely dilapidated. Even the magnificent Nchanga Swimming Pool is closed and derelict, although a friendly security guard allowed us access to view one of our most frequented haunts. Last week we had more social contact with local Africans than we did in the whole of our 4 years during the early 70s, due to the enforced segregation of leisure facilities and accommodation, and our friends in those days were by necessity the ex-pats, who were on short term contracts, very few spending many years on the Copperbelt. One couple who did was Cliff and Judith Eales, who came out to Zambia in 1966. We met up with them last week at their home on 7th Street. Cliff had been with the National Coal Board in UK, and his first job at Nchanga was as a Training Officer on the concentrator. He then became a shift foreman, and when I arrived in 1969 he was assistant general foreman on the leach plant. From 1980-86 he was concentrator superintendent and then concentrator superintendent at Konkola until 1993, when he left to work as an agent for Multotec South Africa, taking over the Multotec Zambia office in the late 1990s, until retiring with ill-health in 2010. Cliff follows the MEI blog, and would love to hear from anyone who knew him in Chingola. Our four years in Zambia were some of the most enjoyable of our lives. They say that you should never return to places which hold the strongest memories. Maybe they are right! 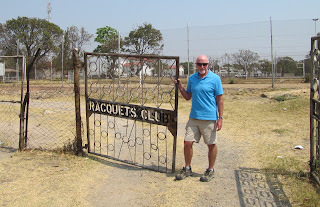 Apart from the friendliness of its people, the best that I can say about Chingola is that it is now a real African town, typical of many that we pass through in our travels in southern Africa, and for which the Rough Guide would recommend - no need to make a stop here! Having said that, I am really glad that we did make the effort to return. It was a very interesting and memorable week, thanks in no small part to the warm and friendly people that we met, particularly Barry Kalumba and the metallurgical staff of Nchanga Mine, Cliff and Judith Eales, Doreen Hodgkinson, and Alison Hart of the Protea Hotel. And another first- on the day we left it was pouring down with rain- does anyone remember this in early August? Glad to see this post! We are considering applying for a position at Konkola, and would be based in Chingola then. It is so difficult to find any information on the web. We are from South Africa and lived and worked in rural areas during the last 15 yrs, but still, it's difficult to form a picture of another country, bearing in mind the two little ones that one has to consider! Roger Sawyer sent me your link about your recent trip to Chingola. I was there from 1966 to end 1970 and like you, I always had this hankering to go back and have a look at the place. This we did in August 2010 – me (Section Engineer Hoists and Pumps), Peter Bulloch (Section Engineer Concentrator, who you may remember) and Roger Thomas (who you will no doubt know) and his wife Janet. We travelled by road – Lusaka to Chingola, then down to Livingstone, back to Lusaka, then on to south Luangwa Game Park and then back to Lusaka and away home, a 12 day trip. From your account, things have got a bit worse within the 2 years after our trip. Like you, we were given an excellent tour of the bits of the mine which interested us. I was all a bit run down, except of course for the new smelter which was located on the site of the old Leach Plant, right opposite my single quarters. It has gobbled up first street, so the plant is right up against the single quarters and I could not believe the noise that plant made (or the state of the SQ’s, as they are still called) and I’m sure it would not be allowed in Europe. We had a look down Oppenheimer Avenue and Pope Drive where the top brass live and they were still pristine. We stayed at the Protea which was very good, except that Roger and Janet’s magic electronic door key failed and they had to get in and out via the window! We were made welcome and had drinks in the Golf Club and Arts Theatre and an excellent meal at the Mokorro Lodge restaurant next to what used to be the old Toyota garage. However, I have just had a look and Photobucket has changed a bit since I was last in there, but I got there in the end. Anyway, no doubt you will have similar photos. We all thoroughly enjoyed our trip and had no trouble at all, other that me getting fined for failing to stop at a road block. The policeman’s erratic hand waving said “keep going” to me, but apparently he meant “stop”! When I told him that he has taken all my money, he gave me half of it back! I wonder where the other half ended up? Just found your blog and interested in your report on Chingola where I was an Electrical Engineer from October 1971 to 1974. I was in Electrical Projects, then Sectional Engineer Electrical Open Pits (what a mouthful that must have been). In Electrical Projects I did work in all the surface areas plus townships and my Single Quarters were across the road next door to Phil Thomas, a mining engineer who I'm trying to get in touch with. Like most of the single guys I only spent about half my time in the SQ, house-sitting for married guys on long leave for a lot of the time, including a 2-3 month stint farm-sitting. I recognise some of the names and faces in your Metallurgical team but didn't have much to do with them as most of my work was with the other Sectional Engineers and Foremen. I've looked at Don's photos and dropped him a line. The place now looks pretty run down apart from the Smelter. I've worked mainly in Oil and Gas since 1974 with a bit of Rail and Building Services. I'm now working as a self-employed electrical engineering consultant, mostly Oil and gas but I have done various studies for a Mining Client. Good to hear from you David. Yes it is pretty run down, but I was very impressed with the Tailings Leach Plant, and with all the Zambian metallurgists that I met. Sad to hear today of the death of Cliff Eales. Our thoughts are with Judith. We too are sad to hear of the demise of Cliff. He and Judy arrived in 1966 fresh from the UK (Wales? ), and we had been in Chingola about a year from Australia. I worked on the NCCM Leach Plant, the old HGO + LGS Roaster. Would love to hear from Judith. Cliff and Judith had at least one happy trip with us to Rhodwins for a braaivleis. You probably remember Paul Piercy who I worked with at Nchanga in the early 70s before he left and worked at Bougainville for a number of years. I met him this week in Perth, first time I had seen him in 42 years! We are American currently living in Chingola. In many ways, wish we had stumbled onto your blog before relocating. The town is in horrible condition, but there is real evidence of the dual carriageway being started between Chingola and Kitwe. Fortunately, we've met a few outstanding people, Judith among them. Barry, when you visited Nchanga recently, did you perchance meet or hear any news of Wallace Banda? He was our local metallurgical accountant in training back in July1968 when I left the Leach Plant. I did most of the monthly copper balances (plus quarterly and annual reconciliations, with the odd battle with auditors). We were doing well to keep the dreaded unaccounted Cu loss to <200 s.tons, esp. with stockpiles of HGO cons. heap leaching away in the rainy season. Anyway,Wallace was a great help to us mets (myself, Les Stewart, Ian Noble, Rogers Thomas and Sawyer) and would like to know how he might have got on (did not succcomb to AIDS, very big scare in 2000 when I last visited). OH MY! What a delightful find. 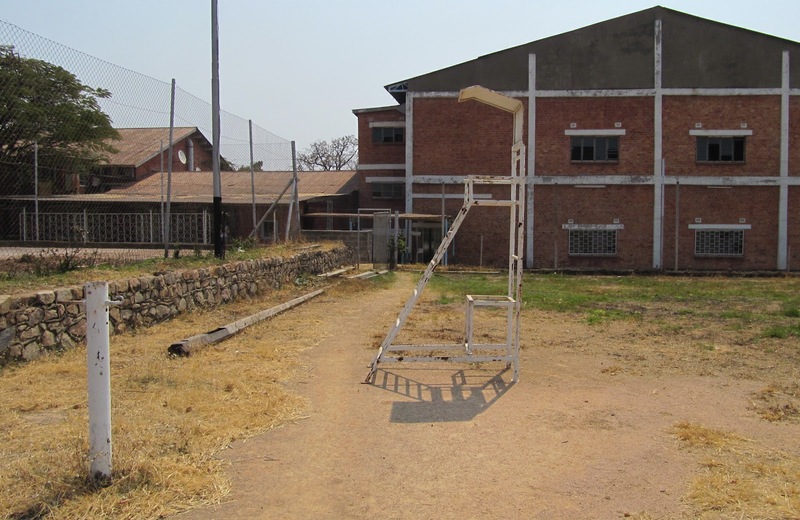 I have been wanting to revisit my childhood town of Chingola for over a decade. I lived and went to school in Chingola until it became politically hot 1964 (I was 11 years old) and my parents returned to South Africa. We lived at 68 12th Street. I went to ballet classes at the Moth Hall. I would love to know what happened to the Spreggs? I went to school with David Spregg. I lived with my parents at 73, 11th street until 1965 after finishing Matric Exemption at Chingola High. Also believed with the escalating "Zambianisation" policy in place the future looked rather grim. Returned to P.E. that year to where most of my Mom's family still lived. Will be attending the Chingola Reunion next month in Hermanus where I hope to see many of my old school mates! I'll chuck my name into the hat as a couple of the names mentioned here resonate with me, Paul Piercy, John Glathaar. I'm John Ellis and I was a metallurgist on the Copperbelt from 1964 to 1979. I was only briefly in Chingola at the start, maybe 18 months on and off, then I was at Rhokana and gravitated to Minmet Services, Mutondo House, a happy team under the redoubtable Peter Williams. I looked after the group metallurgical accounting and never worried too much about the unaccounted losses as they helped to balance the books and usually came back later as unaccounted gains. Always a good excuse for a trip to Chingola or Bancroft and lunch at the Golf Club! Those really were the days. I too worked at Konkola Copper Mines , Chililabombwe and Chingola , during 2006 to 2008. I worked as a Construction Manager to set up brown field copper concentrator (6 MPA) plant for KCM. That was EPC project. Reading all the stuff on the blog reminded me good old and challenging work performed there. I wanted to visit Chingola again , but as it said never go back to same old place in order to keep your memories glorious. All those places including Nchanga plant, offices, shop rite, Bata show room, Hotel Protea, VIP club etc all roll in front of eyes. Thanks for the really interesting post though sad to hear that Chingola is in such a poor state. Moved there with parents in 1970, Harry Langham was a civil engineer at Nchanga and Pauline Langham ran the Nchanga Nursery School. Sadly both are no longer with us. Lots of happy memories of the pool and clubs mentioned. Would love to turn the click back! Hi,have just discovered this blog and am overcome by a wave if nostalgia. I was born in Kitwe in 1960 and spent several very happy years in Chingola.my father, Patrick Doyle, worked on the open pit as a foreman and we lived at 66,12th street. I too, went to ballet classes and remember walking past the shoe shop,shopping at Amin's and going to Salanki jewellers.. My god parents were Pat and Joan Malone. I would love to hear from anyone who may have known mthem ir my parents, Pat and Audrey. We had such a great time and thanks for the photos. Our family left Chingola for Switzerland in 1988. GEE it brought tears to my eyes after I read your blog. I don't know if you remember me, I was in Chingola from 1968 to 1981. After I saw the pictures of the swimming pool, squash/tennis club and bowling club I could not believe the pictures. A longer profile will follow. Hi, have been on the site a couple of times but never commented. I lived at 79 12th Street from 66 to 76 and I am sure many of you will remember my father, Peter Fiore who worked at Nchanga Mine and was also Zambian Powerlifting champion (now sadly passed away in 2014). I write this comment because of the photos Barry has put on the site noteably the state of the swimming pool and tennis club where I spent many days in childish bliss. I think I even recognise Mike Frost in the black and white and that might even be my Mum in the background near the stand!! Sad to see the current state but in my memory they are still pristeen. I seem to recall the Eales as well as I think i knew their son, Phillip but i'm not sure. Still good to see the Bata shop but not sure if the Solanki store is still around. This is what a blog is all about! Hard to believe that you will be in your 50s now, Michael, the last time I saw you, in Chingola, you were just a little boy. Your mum and dad, and your three sisters were all friends of ours, and your dad was my great friend and 'personal trainer'. He played a great part in enhancing my sporting life, and, in his role as deputy fire chief, introduced me to the fire service, something that I loved. When we all left Chingola, we lost touch, although I remember seeing him on TV in the mid 70s becoming world middleweight power-lifting champion. We caught up with each other only a few years ago, via Google, unfortunately only a few months before his untimely death. You will find quite a lot of mention of Peter Fiore, including photos, on various parts of the blog. How are you and the family now, and where are you all living? Keep in touch. Great to hear from you. Yes, I'm now 53, married with two boys 16 and 12. I now live in Fleet, Hampshire. My sisters also live in Fleet which is great to have the family close. Nat and Naomi are nurses and still single and Nikki is just recently married. Mum now lives down in Salisbury and has been retired for quite some time. Still miss Dad but it is still good to hear from people who have been lucky enough to know him. Love the photos amd would love to see more if possible. Contact me by email, Michael, and I will look up some photos. We left England in 1947 and SETTLED in Northern Rhodesia with an emphasis on settled ! Lived in Chingola and departed 1964. There were no EXPATS IN THOSE DAYS ! Everyone was there forever but it did not work out that way , most employees on the mines were paid a GOLDEN HANDSHAKE and told basically it's all over . like my family we ended up scattered all over the world . I returned in 1980 and cried at what I saw . Have been back many times since that visit . There is one thing that nobody can take away and that are the unbelievable friendships and memories . I remember Peter Fiore well and Tony Clark can anyone remember the guys name who painted the various paintings on .the back of the face shovels particularly the toothless bulldog which had .to be hastily removed. It was great to read all the posts about Chingola and the Nchanga Mine. I was there as a geologist (sorry not a mineral processor) between 1977-80. As it was my first job from University, I too have fond memories, despite the curfews and other restrictions that the final years of Rhodesia conflict imposed. After two years working underground I became structural geologist for the Nchanga Open Pit and enjoyed zipping around in my Toyota Landcruiser. Its sad to see the demise of the Swimming Pool, which I remember well and the general erosion of the fabric of the town. While in Chingola, I joined the local Lions Club, and am still a member of the Lions organisation some 40 years later. A couple of years ago I even met a Chingola Lion, a local surgeon, at a Lions International event - so that is one Club that has survived. And I understand from Facebook that my other regular haunt, the Theatre Club, is still active. Thank you for posting this. I came with my parents a bit later than most on this blog - '81-'88, and had wonderful memories. I certainly remember the cream buns, and fresh bread from Princes bakery in your photo's. It's sad to see the state of the Nchanga Racquet & swim clubs, many of us spent our free time there. I am planning a trip to Zambia to show my California raised kids a bit about my adopted home country, but after this perhaps I'll skip the Chingola bit! I was living in Chingola from 65/67 . I was in charge of the Customs Department and actually married a local girl the daughter of the local dentist Doc Findlay .She was his oldest daughter of four -all gorgeous.My great pal Roger Murphy married number two two daughter Di. We got married in St Barnabus church and all the expat notables were at the reception including the Solanki family . Hi Sam, hope you are well. Are you living in the UK? I am living in Cape Town now and Noel and I yearly attend the Chingola Reunion in Hermanus in February which is organized by Colin and Jill Edge. These events are great fun and a good way to keep in touch. People come from far and wide to meet up and renew old friendships. Di and Rog also live in Cape Town not far from me. Mom and dad are long gone now of course but hearing from you bought back many more Chingola memories. I only had a short stint on Bancroft mine in 1962 after university [9 months] but it gave rise to many great memories. It was hazardous and very wet mining doing a scraperman's job together with grizzly work. But the money was good and copper bonuses high. The copperbelt then seemed like a place of milk and honey. Tidy and efficient and marvellous facilities. When not down the hole I played golf, cricket and rugby. And afterwards drank a lot of beer in the Croaking Frog! Many years later in the 1980's I went back as a corporate man looking for an investment opportunity. But there was little understanding amongst the top echelon of the dynamic needed to lift the industry out of the doldrums.Very sad but it might explain why Africa will always have a great future. I feel I was lucky enough to enjoy the apex years. So glad I came across this page looking up Chingola and Ndola as there is a possibility my son may be going to work in Ndola. My son was born in Chingola in 1977, in those days there were food shortages but great times too. I was Claire Watson back in those days, life changes many things, including Chingola by the look of it. Just in case someone remembers Dave Watson , armature winder in the mine 1977 - 79, Dave died in South Africa 5 July 2018. When you went to Zambia you thought you were a big deal because you were an Assistant Foreman until you got there and realised EVERYONE was an assistant foreman ???? I was there about 1978 and my name is Paul Rowe and I worked at the Open Pit on big diesel electric trucks. What a great place Chingola was ??? I was even in a play at the Theatre called, The Happy Apple' first time and last time !!! The glorious days I spent at that swimming pool? I can never understand why Zambian Mosi beer is so much better than the beer we get in South Africa ???? They were great days! Probably the best of my life! I am looking for Dave West Mining Engineer who lives in Sudbury, Canada, and Mike and Sally Wilks from Bristol !!! My parents were married in the Community Hall in Chingola in 1947. I believe my father worked as an accountant at the copper mine and my mother left England, alone, to get married in Africa - quite daring in those days I guess! She died this June, aged 96, and we are keen to bring her ashes to the Alymer May Cemetery in Lusaka where my father is buried. He died in 1954. My father was John [known as Jack] Leslie Hand and my mother Betty Hand [nee Jones]. I was born in Chingola in 1951 when my parents worked there, and my father died when they were living in Lusaka in January 1954. My mother returned home - I was aged two and a half - after his death. My godfather was Mick Dabinett who, I understand, worked in the South Luangwa Park. My godmother Elaine Peachey, married to Derick Peachey, and they owned an estate in Abercorn. My name is Denise Pettit. As you may be able to tell, I don't have a lot of information! Hi everyone.Hat's off for each and everyone of you. I'm so happy to hear from people who knew and lived in Chingola before today. I was born in Chingola 1971. My father who is french worked for Mimbula Fitula in kasompe. I started my nursery at St.Barnabas Nursery and Nchanga Lower Trust school and went to St.Josephes Convent School. I'm so happy to know that i'm not the only one who thinks about Nchanga swimming pool, the Rugby club, hockey club,tennis club, and not forgetting 'The Vestra Cinema' with the metal drums on the parking for our father's and mother's to pass their driver's license. Thank you all for the sweet and unforgettable past of my life. I am now in france and looking forward to go visit Chingola. Great to see the above comments. My name is Stephen Hart, I have been trying to trace some neighbours and friends of my parents Stan and Joan Hart, my father worked at the mine from 1950/1960. We returned to the Uk in December 1960, my father did not want to take the risk of staying on in Chingola with all of the troubles and atrocities going on, so very sad. Neighbours and school friends included, Errol Reece, John Henry, Susan Flood, The Aladice family Diane Wright who lived in Kitwe and Jack and Maisie Collier family. Louis and Kath Wright are my god parents originally from Yorkshire, Louis had an engineering business called Riteway Engineering, I have tried to trace these folk for years without success.